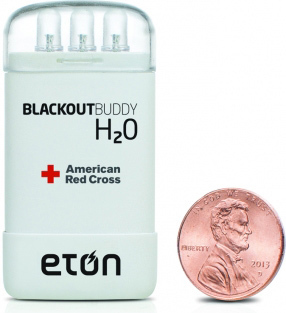 The Eton Blackout Buddy H2O is an always-ready, water-activated emergency light. No batteries are required. 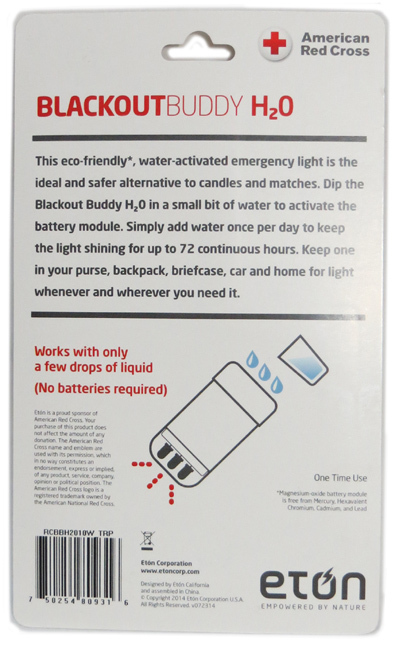 Simply add a small bit of water to activate the battery module. Add water once a day (or leave it standing upright in a saucer of water) for up to 72 hours of illumination. 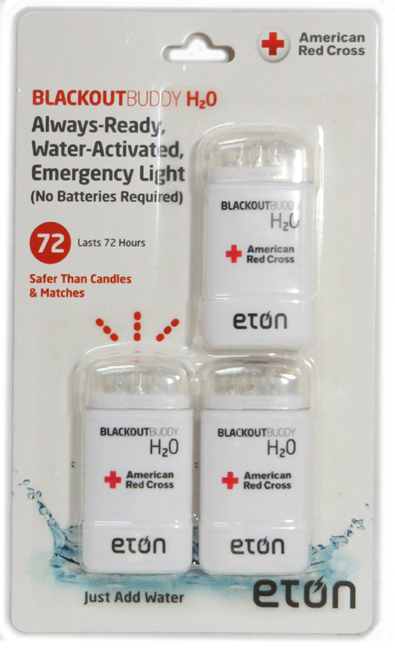 A safer alternative to candles and matches. Sold in a package of three units. Please note that this is a one time use device.